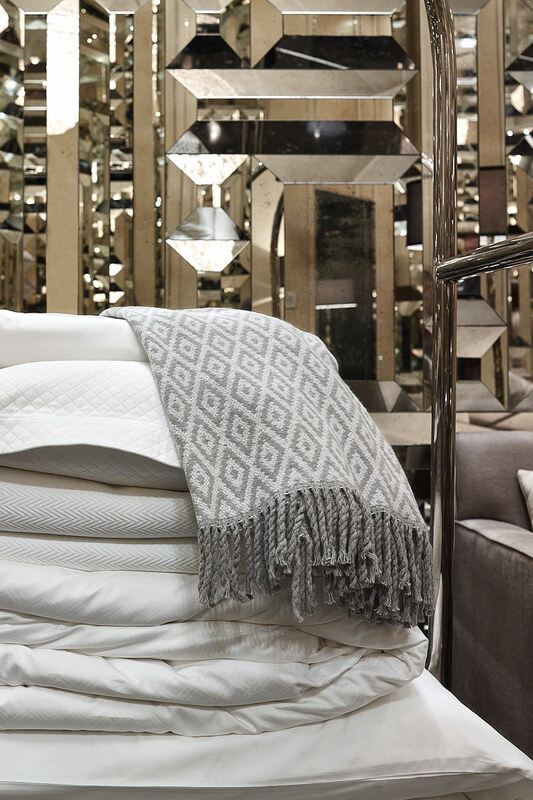 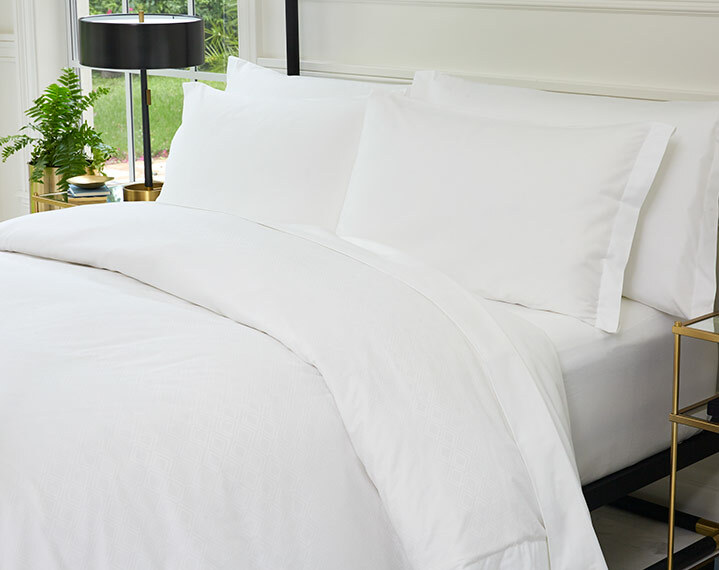 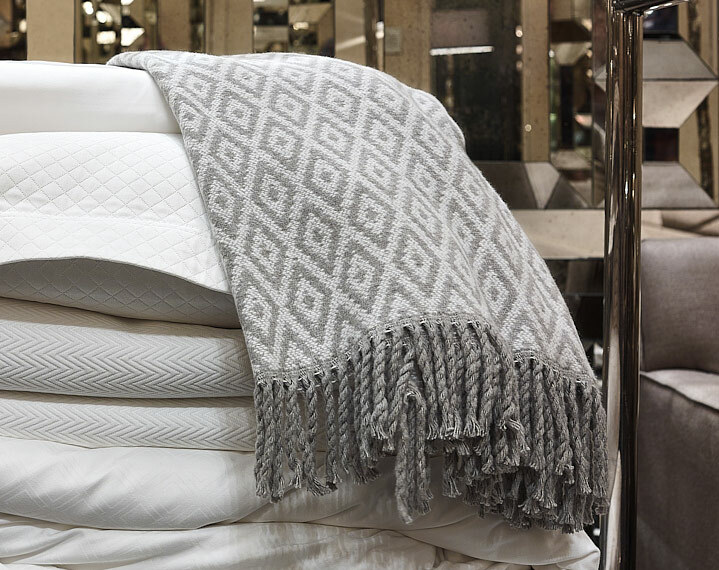 Complete your St. Regis Bed ensemble with the refined Frette Diamond Throw. 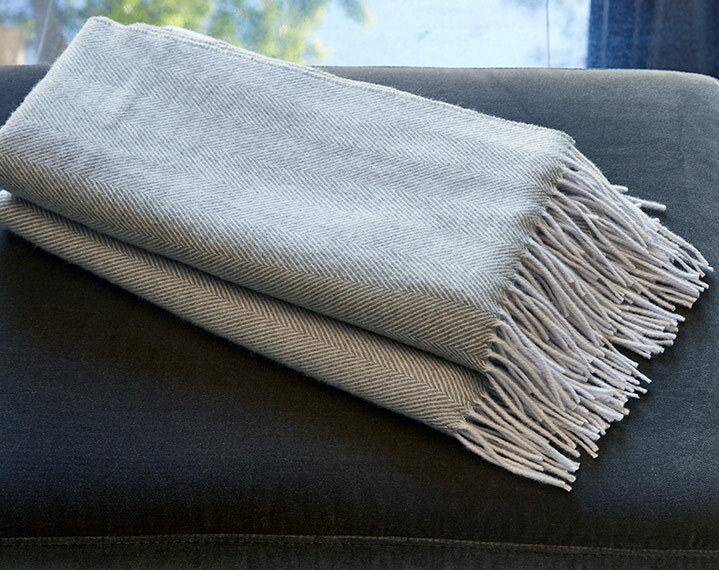 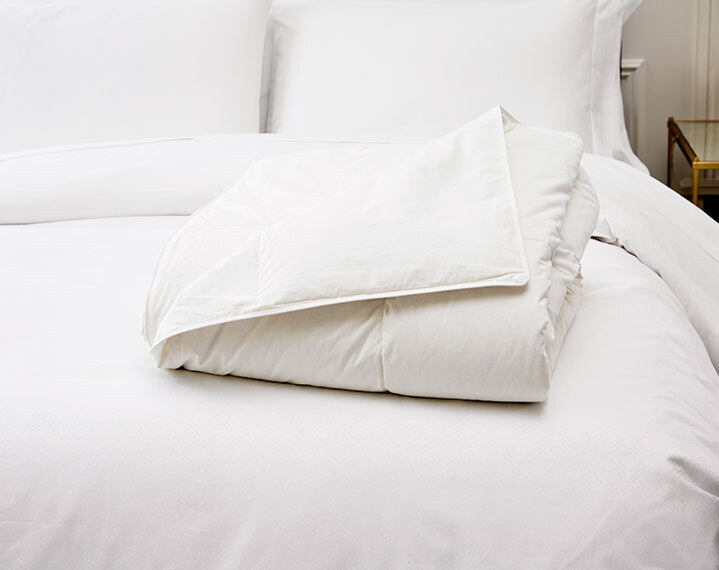 Our blanket is crafted of a luxurious cotton blend and offers the ideal weight to wrap yourself in day or night. 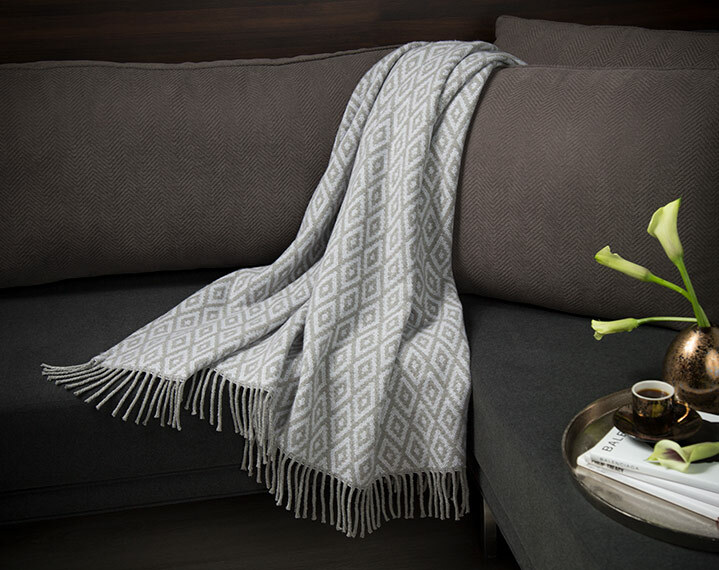 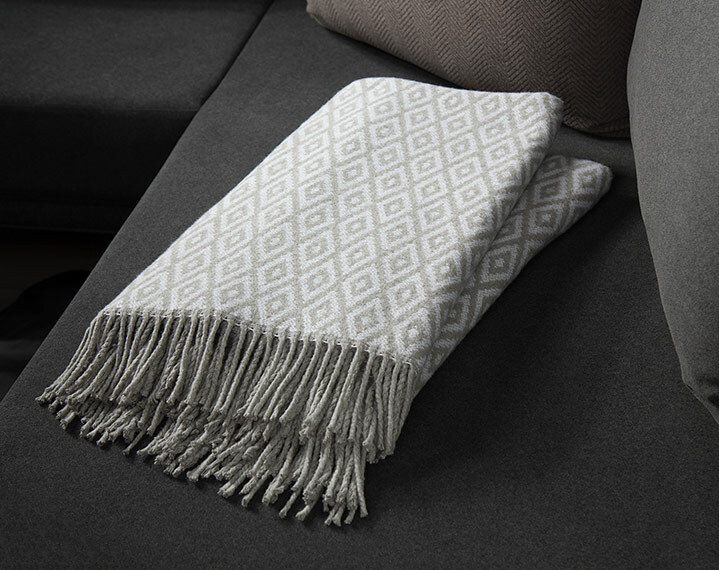 Adorned with a distinct diamond pattern and decorative grey fringe, this elegant throw will enhance any room in your home.